The Emmy-winning duo will write and produce a new series of Star Wars films, separate from both the episodic Skywalker saga, which will conclude with December 2019’s Episode IX, and the recently announced trilogy from The Last Jedi writer-director Rian Johnson. These new Star Wars films have no release dates yet, nor any sort of plot information. It’s also not clear how many there will be—Lucasfilm’s announcement does not specify that it’s a trilogy, but it’s hard to imagine Star Wars films coming in any other amount. 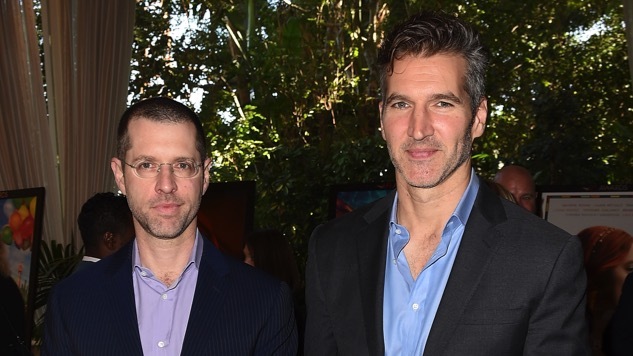 It’s also unclear what this means for Confederate, the sci-fi series Benioff and Weiss are developing at HBO. The series, set in an alternate world in which the South successfully seceded and slavery remains legal, caused a great deal of controversy upon its announcement last summer, for reasons that should be fairly evident judging by the beginning of this sentence. When asked by Variety on Tuesday, HBO declined to comment on Confederate’s future. Game of Thrones will return in 2019. Star Maisie Williams recently revealed that the show’s eighth and final season will air that April.